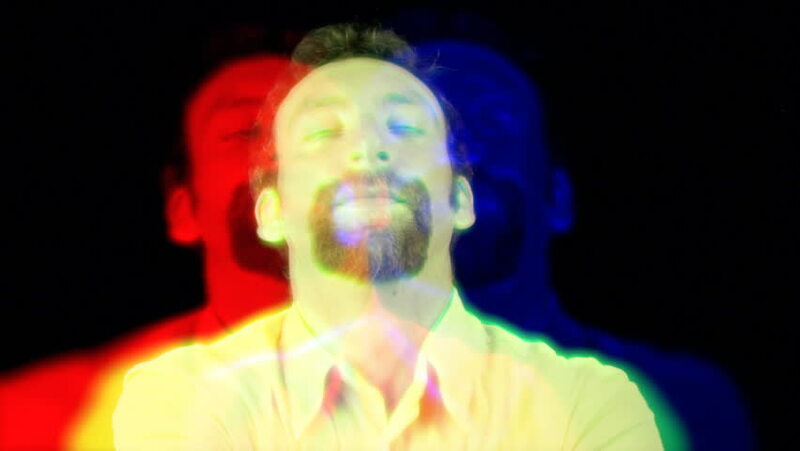 RGB split fx on a gratified man's expression. Medium close-up shot of the face on black background. hd00:15RGB split fx on a child-like man's expression. Medium close-up shot of the face on black background. hd00:19RGB split fx on a glad man's expression. Medium close-up shot of the face on black background. 4k00:14Animated streams of red, green, blue (RGB) gas or smoke in vortex mixing with each other creating other different colors 4b. Top view. Transparent background, alpha channel embedded with 4k PNG file. hd00:23Colorful illumination bokeh lights background. hd00:23Abstract Colours Spreading Paint Swirling and Blast. This 1920x1080 (HD) footage is an amazing organic background for visual effects and motion graphics. hd00:12The big face of a curious man looking at the camera with a magnifying lens (a detective / private eye). hd00:12A funny man with hypnotic glasses, source code lines scrolling into his eyeglasses (a hacker or a human computer virus). Close-up shot, black background. hd00:12Fake VHS tape: the big face of a curious man looking at the camera with a magnifying lens (a detective / private eye). hd00:23A man in front of a mirror, he is sad but his reflection is happy. Concept: madness, craziness, psychosis, schizophrenia, inner demon, soul sickness, split personality. Isolated close-up shot. hd00:19The face of a doubtful religious man, discovering true faith; a shiny light appears, making everything pure white. hd00:27Vhs retro fake shot: a man loudly clapping his hand; a true fan, a strong supporter. hd00:20Double exposure of the same man: angry screaming and child-like. Medium close-up shot of the face on black background. hd00:23A satisfied man's expression. Medium close-up shot of the face on black background. Part of a series of depictions of feelings and emotions with professional actors.